Your house is in foreclosure… Numerous credit card companies have rejected you because of your poor credit score… You need to build credit fast! But… You need a credit card for that, right? Not necessarily. It doesn’t matter why you have bad credit. 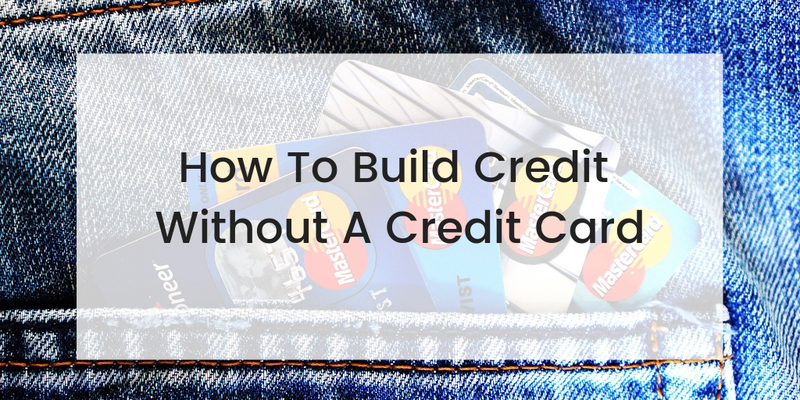 You just need to learn how to fix it — even if you don’t have a credit card! These seven points will build up your financial self-confidence and show you how to build your credit without a standard credit card! A secured credit card is a credit builder’s best friend! It gives you access to a line of credit in exchange for collateral (a small deposit). which helps mitigate some of your lender’s risk. While paying a deposit may seem a little scary, don’t fret. Most deposits are no more than a couple of hundred dollars. Secured credit cards tend to come with low monthly fees and some lenders will even give cardholders perks like cash back. Also, since your card is secured by a deposit, defaulting on your balance may not lead to a ding on your credit score. It will, however, result in the loss of your deposit. The best part about secured credit cards is that you’ll only need to use them for a limited amount of time! As you prove to your lender that you can make timely payments, your credit score will go up. As it does, you’ll find that you qualify for a number of other cards with better terms and no collateral requirements! Want a true credit card alternative to building your credit? A credit-builder loan has you covered! Several types of credit-builder loans exist. Pure credit-builder loan: This loan type is a savings account/loan hybrid. Basically, the lender deposits your loan amount into a savings account and freezes that money. You then progressively contribute to the savings account an amount equal to the loan. Once you’ve paid down the loan, the money unfreezes and is awarded to you. Proper management of this process can give your credit score a serious boost! Standard secured loan: With a standard secured loan, you’ll need to show your lender that you have assets equal to the amount you’re looking to borrow. That way, if you default, the lender can repossess your assets and pay themselves back. Unsecured loan: Unsecured loans are common for medical expenses and other emergencies. These are relatively straightforward in that you apply for an amount of money and, upon approval, walk out with that amount the same day. You will then need to pay back the loan per its pre-determined payment schedule. Unsecured loans can come with high-interest rates and fees to help lower a lender’s risk. A lot of credit products you may not ordinarily qualify for will consider approving you if you can find a cosigner. A cosigner is a person who has good credit and vouches to take care of your debt if you should default. With a cosigner, you can often enjoy low-interest rates, credit card perks and of course, the ability to build up your credit. Becoming an authorized user means getting a credit card that’s attached to someone else’s account. Given that the account holder is liable for ensuring balances get paid, banks are very liberal about authorizing additional users despite their credit history. If credit card companies see that you are responsible with money as an authorized user, they are more likely to issue you your own card in the future. Rent payments are seldom reported to credit bureaus but they can and should be. Because timely rent payments help build credit. Every instance where a person demonstrates the responsible handling of their rent will work in their favor on a credit report. Also, future landlords will be more likely to rent to applicants with reported histories of prompt housing payments. This point might sound obvious but at the end of the day, how you manage your money can have a profound impact on your credit score. Live within your means. Buy only what you need as inexpensively as you can. Whenever possible, pay upfront. When you do spend money, spend it on things that you really need and that are built to last. Also, never get caught up loaning money to people who aren’t likely to pay you back. This can not only strain your wallet but can also strain relationships. Credit repair agencies remove negative items from credit reports. These items can include repossessions, liens, foreclosures, and late payments. You may be surprised to learn that many indications of poor credit on credit reports are errors. There are a lot of companies who specialize in finding and removing those errors for a nominal fee. With an error-free credit report, you’re more likely to strike banks and credit card companies as a promising applicant and be approved for loans! If you want to learn more and start paving your path towards a promising financial future, contact GoCleanCredit.com or give us a call at 1-866-991-4885 for expert advice.